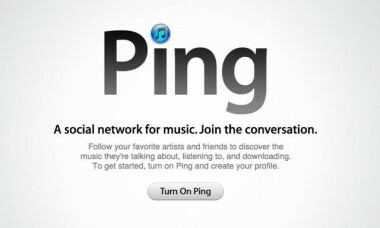 Apple has finally acknowledged what the market has been telling it since it first debuted Ping, its social network for music, in September of 2010. The service is a failure. And rather than continue to maintain Ping, the company is abandoning it and using its partnerships with Twitter and Facebook to make its various software and service offerings social in a way that consumers actually care about. Sources close to the company say that Ping, which still exists today in iTunes 10.6.3 and the iOS 6 beta — where it doesn’t work, will be gone with the software’s next major release, likely scheduled for this fall. And at that point Apple’s social networking offerings will shift to Twitter and new partner Facebook entirely. At this point, years into the social networking phenomenon, why not leave the social stuff to the social people who are good at it? Apple might be great at software and hardware, but its skills in creating a social network are sorely lacking. So much so that it’s not even bothering to salvage Ping with the help of the folks at Facebook, a company that might have improved the service’s chances of success had it been on board for its launch. In the end, Ping was a social network that was focused far too much on enabling commerce, and far too little on enabling social interaction. It wasn’t easy to find and connect with people on Ping. And that didn’t resonate with Apple’s customers all. Apple CEO Tim Cook said as much at D10. “We tried Ping, and I think the customer voted and said ‘This isn’t something that I want to put a lot of energy into,'” Cook said. Apple now seems to have come to the same conclusion. And it’s not putting any further effort into the service either.